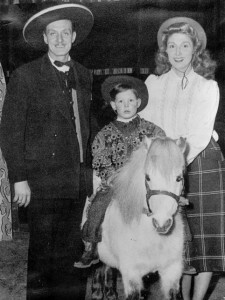 In November 2000, Barbara interviewed Jimmy Kayes – a renowned bare-back horse rider and circus ringmaster in the 1920s-1980s, for the British Library Sound Archive Oral History of the Circus Collection [Search Catalogue for Jimmy Kayes]. His Russian wife Yolande Truzzi, a footjuggler, was interviewed too [Search Catalogue for Yolande Kayes]. They told her how much they had enjoyed telling their stories and how grateful they were to receive copies of their recordings which they regarded as a legacy for their grandchildren. Their remarks were the inspiration for Spoken Histories. SPOKEN HISTORIES has responded to many requests for tailor-made personal oral history commissions. Mostly commissions have been instigated by the daughters and sons of the interviewees, but a few have been commissioned by the interviewees themselves. David Burton commissioned his life-story oral history because it was much easier for him to talk about his memories than write an autobiography. He regretted knowing so little about his father’s life and wanted to make sure his children would have the opportunity to know about his life. David’s story is a legacy he will pass on to his children and grandchildren. He also wanted to reflect on the various chapters in his life. We spent three afternoons together. We worked out how David wanted to present his interview and we created six and a half hours of recorded oral history. He received handsomely bound books containing CD’s of his recordings. These were both in an archival format for posterity and in a playback format for a CD player. 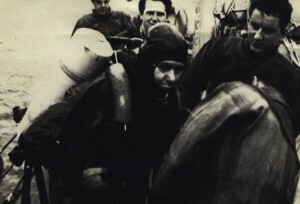 Listen to David remembering the story of an explosion that occurred whilst he was working as a submariner on HM Submarine Sea Devil in 1958. If you would like to commission a personal oral history, we can help you capture your memories, or those of someone close to you, and create a special oral history presentation.